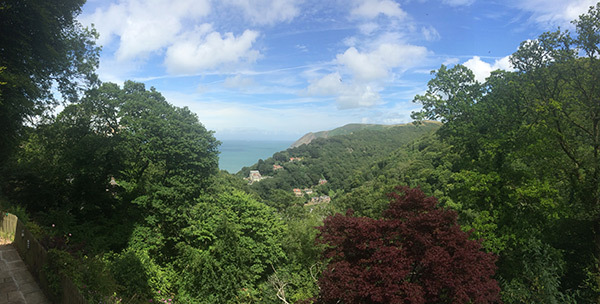 Saturday 11th July saw a trip down to the beautiful surroundings of Lynton in North Devon. Sarah and Kevin were married in the afternoon at the local church, and booked out The Lynhurst for their afternoon/evening celebrations. They booked me to play a couple of acoustic sets during drinks and cream teas, with speeches during my break. Following an unsuccessful fight with my sat-nav, I eventually located the venue thanks to some help from the locals. GPS/3G hasn’t quite reached Lynton yet! 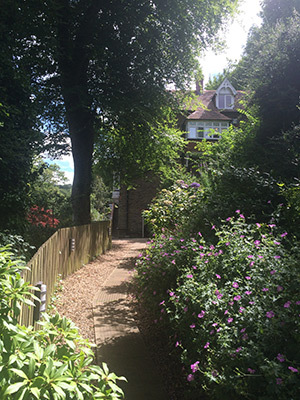 I walked up the pathway to the Lynhurst and was greeted by fantastic views with the sea twinkling in the distance. 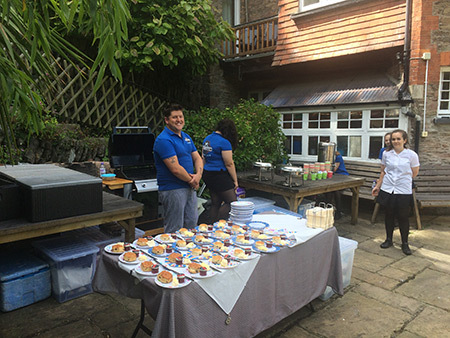 I set up my PA system, while the caterers carefully prepared cream teas, and we awaited the entrance of the newlyweds and their bridal party. 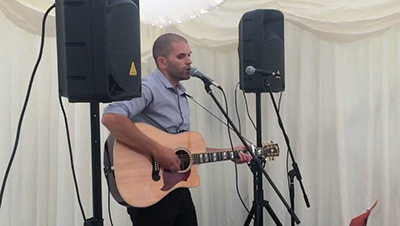 Huge congratulations to the happy couple – once again, thanks for choosing to have me play at your wedding – hope you enjoyed the tunes, and that you had an amazing evening after I left! 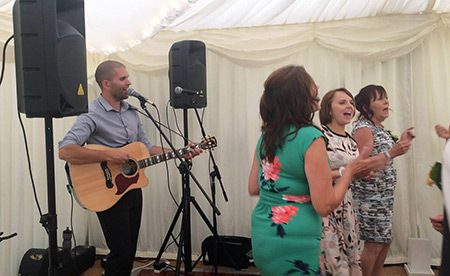 This entry was posted in News, Wedding Guitarist Blog and tagged acoustic, Bristol, Devon, entertainment, guitar, guitarist, idea, ideas, inspiration, live, live music, Lynton, music, musician, performance, reception, set, singer, singing, venue, venues, wedding, weddings by Pat McIntyre. Bookmark the permalink.